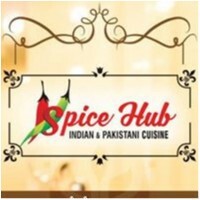 Spice Hub joined our Mission to help provide access to “Clean Water for All by 2030”. This Mission was initiated by the United Nations. A big thank you to Spice Hub’s team and customers for joining this extremely important mission on 21 February 2018. Authentic Indian and Pakistani cuisine. Specializing in North Indian non vegetarian, vegetarian and Mughalia's dishes. Authentic hyderabadi dum biryani.